With the latest episode out, we now know what the ghost Boruto saw was probably a result of a chakra stealing weapon designed by the research and development team of the Anbu Foundation unit. Like i stated in an earlier article, it would be nice if this was perpetuated by a team and not just an individual and this could be the Boruto's anime reply to the Akatsuki but let us focus on the ghost. There are a few questions surrounding the ghosts, why does it attack only those who are vulnerable emotionally or is it that it is a coincidence to throw off investigators. The ghost looks like the chakra form which shrouded the creature Boruto summoned and so there is the question about the connection between the the ghost and the summoning. If a weapon is being created from using the chakra the ghost collected, is the weapon a biological one or ninja tool. From episode one, we have seen the ghost gain a bit more shape and also getting stronger as it possesses more people. It was just a chakra shroud Boruto saw but a few episodes back, that chakra actually took shape and it mean that the entity is getting strong if it is one or the chakra stealing technique is getting better. It would be interesting to see how the ghost relates to Nawaki, it may be even be used as the source of his power and awakening a power similar to that of boruto. There are a few more theories about the ghost related to another Otsutsuki who has yet to show his face. He could be very wary of doing since there are shinobi of Sasuke and Naruto's level. In the storyline, Sasuke and Naruto with the aid of Boruto but it can be safe to assume that the shinobi who defeated and sealed Kaguya have gotten stronger as time went on and Momoshiki and Kinshiki discovered that underestimating them would have its consequences. This ghost (as called by Boruto) makes for some fascinating watching. 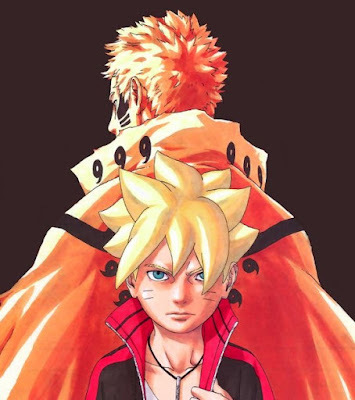 It would be also interesting to note that the anime has kept other dojutsu users from the ghost as it would raise questions like whether sharingan users (only sasuke now and eventually sarada) or byakugan users can see it or not and while Mitsuki can sense it, it hasn't been shown whether a sensory type like Naruto can . So stay tuned, watch Boruto and also watch this space for more theories on the issue. 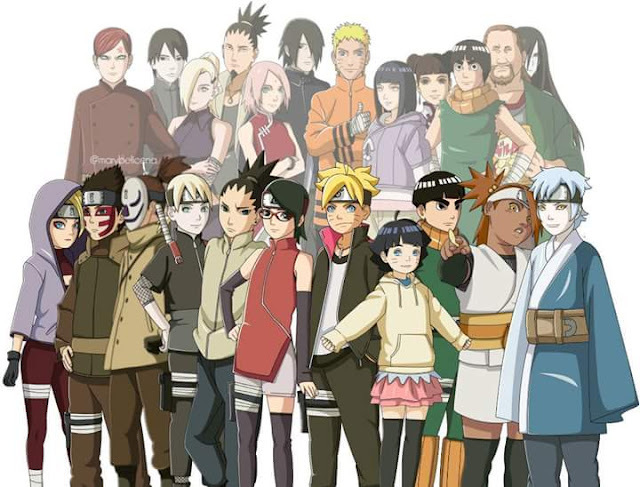 Can the Characters in Boruto match those in Naruto? Who would train Sarada to use her Sharingan to its full ability? 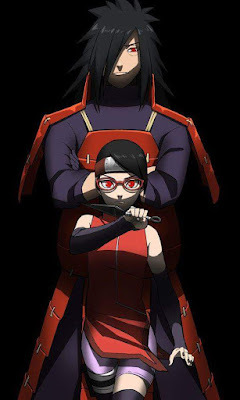 Sarada Uchiha is the beginning of a new clan of Uchihas to come, Shin's clones may be added to the clan and counted as Uchihas but Sarada would one day lead the clan. To be an Uchiha thru and thru, she needs to know and learn Uchiha techniques such as the Fire Release: Great Fireball jutsu which is a right of passage, she also needs to learn to master the sharingan in order to use it to devastating effect. There are a few shinobi in the village who can teach her to master the sharingan or aspects of it. 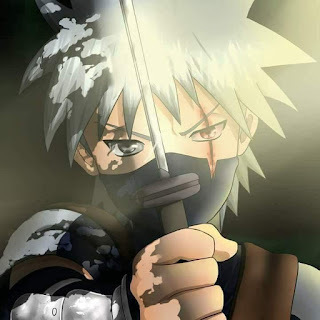 Kakashi Hatake was the sixth hokage who succeeded Tsunade Senju after the fourth shinobi world war. He was the also the jounin sensei to team 7 who all went on to become very accomplished shinobis in their own right. Now back to Kakashi, how strong was he? There is no official power ranking system for shinobis in Naruto and a lot of fights that would have been awesome never happened and this has led to the inability to truly rank shinobis. An example is how Itachi said if he and Jiraiya were to fight, they would both die and the Sannin are a relatively balanced force but Tsunade is considered weaker than Kakashi, so does that mean that Jiraiya and Itachi are weaker than Kakashi; not by a long shot.